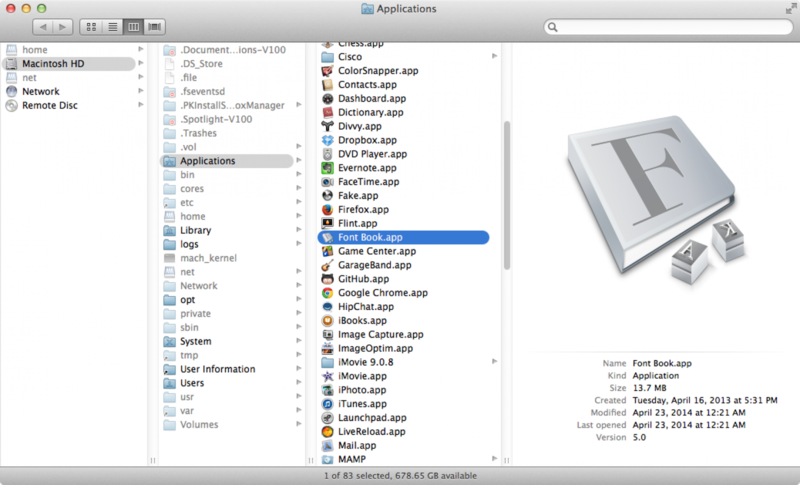 Open a new Finder window and locate the fonts you'd like to install. 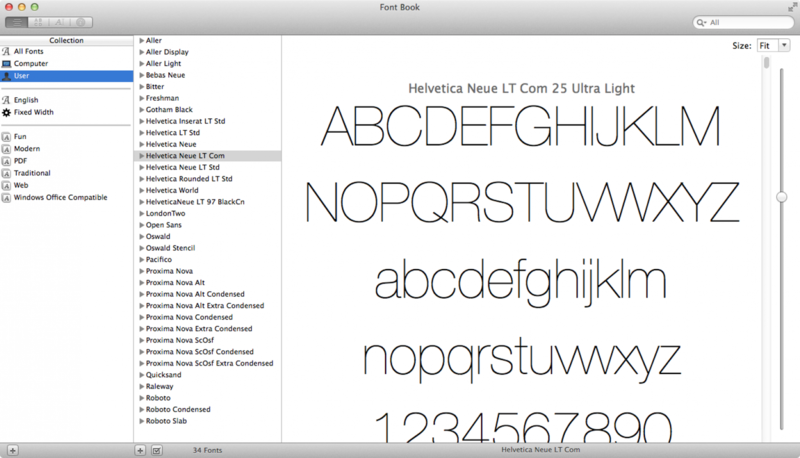 Navigate to Applications > Font Book (or open it using Spotlight). 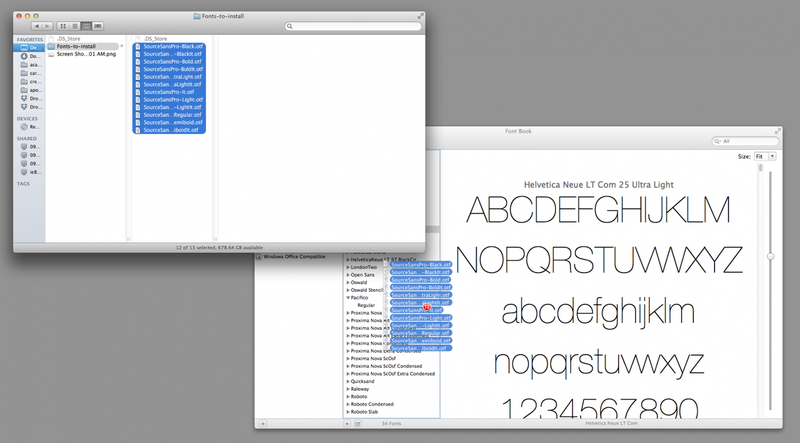 In Finder, highlight all the fonts you'd like to install and drag them into the Font Book window. You're done! 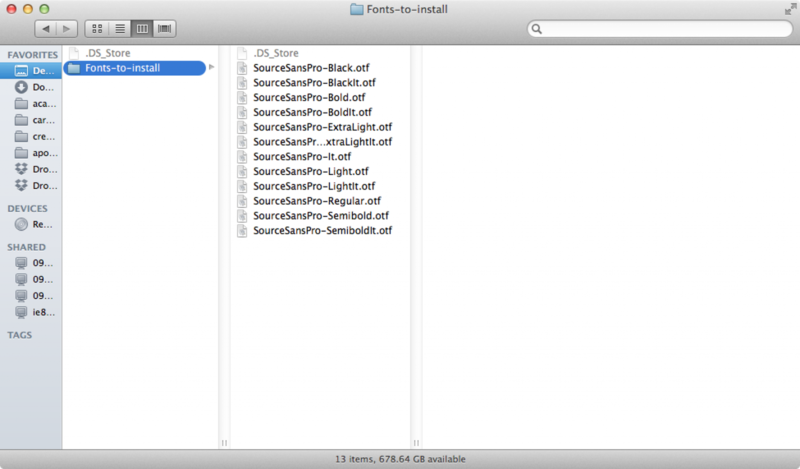 Note: if the fonts you're trying to install are corrupt or weren't designed properly, you may see an error message. If you'd like to continue with installation anyways, you can check the associated checkbox to continue with installation.